Next post: A visit with Bhakti Ziek! …and with my dress, at the exhibit! Me with my wedding dress! 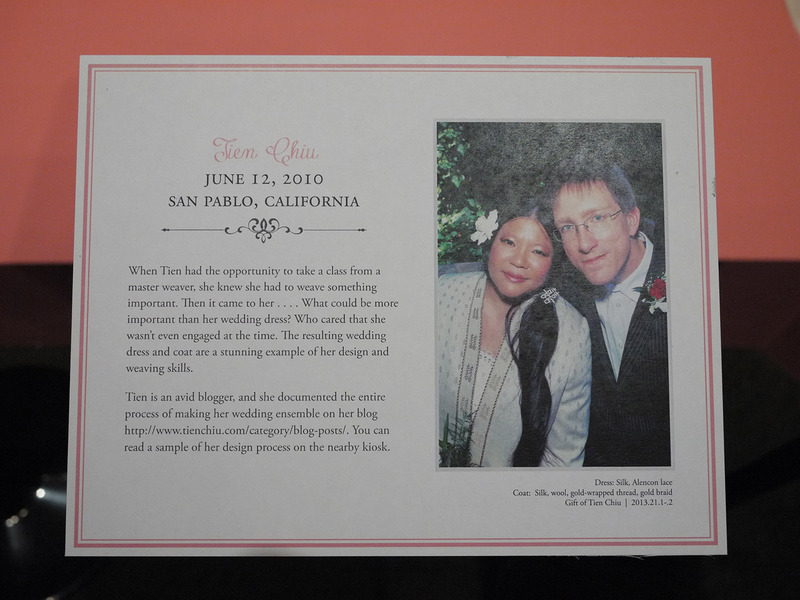 The white corsage indicates that I was one of the brides with a dress in the exhibit. 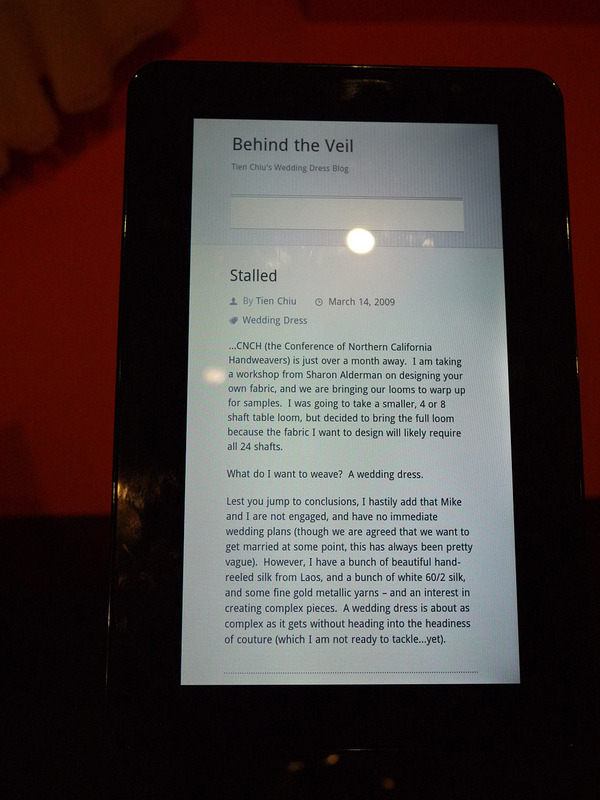 They even had a little tablet computer set up with excerpts from my blog! my blog at the museum! …and, finally, the “reason for the season”: me and my very beloved Mike in front of the exhibit. Here’s to many years more! 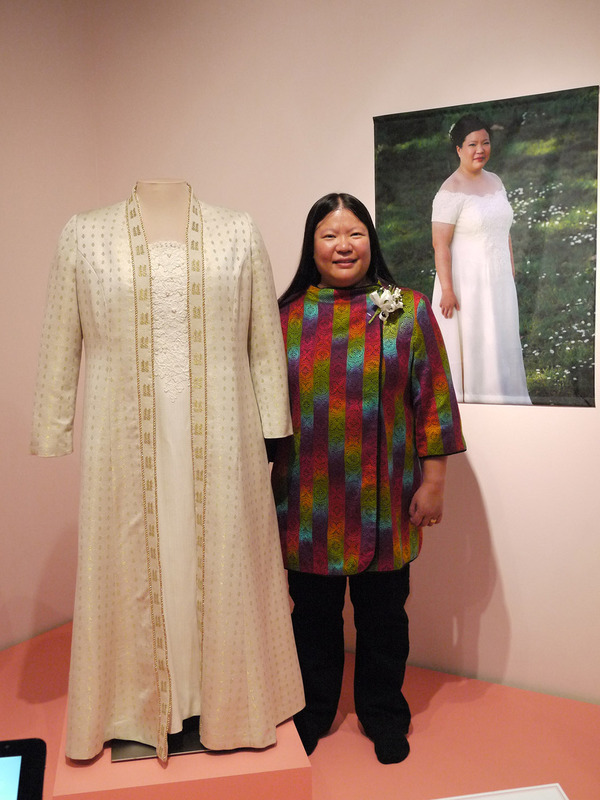 Congratulations–how exciting to (finally) see your dress in its new home! Congratulations. I look forward to seeing your dress when I visit in June. You are inspiring! Beautiful. 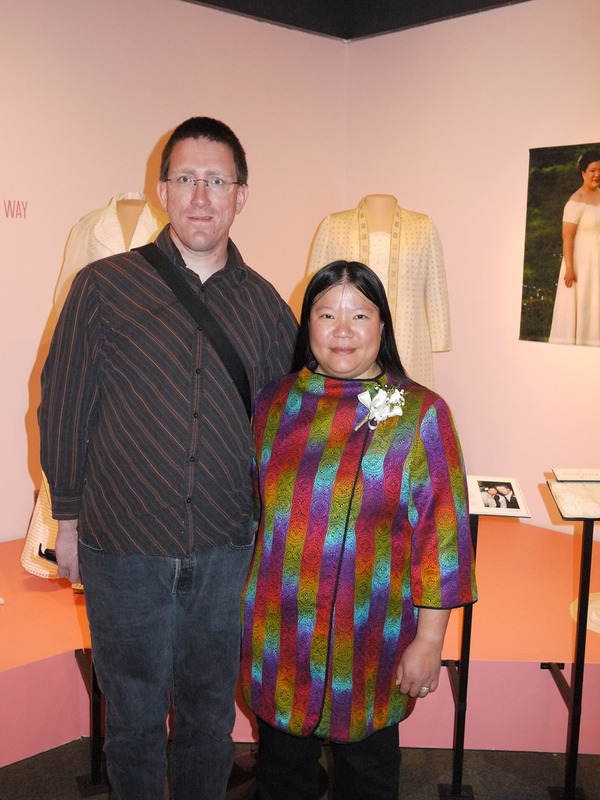 So great to see you, your husband and THE DRESS at the museum. Many, many happy years to you both !! Visiting my daughter in Massachusetts this weekend. I’ve enjoyed following your creative blogs, especially the story of weaving the fabric for your weddding dress and coat. 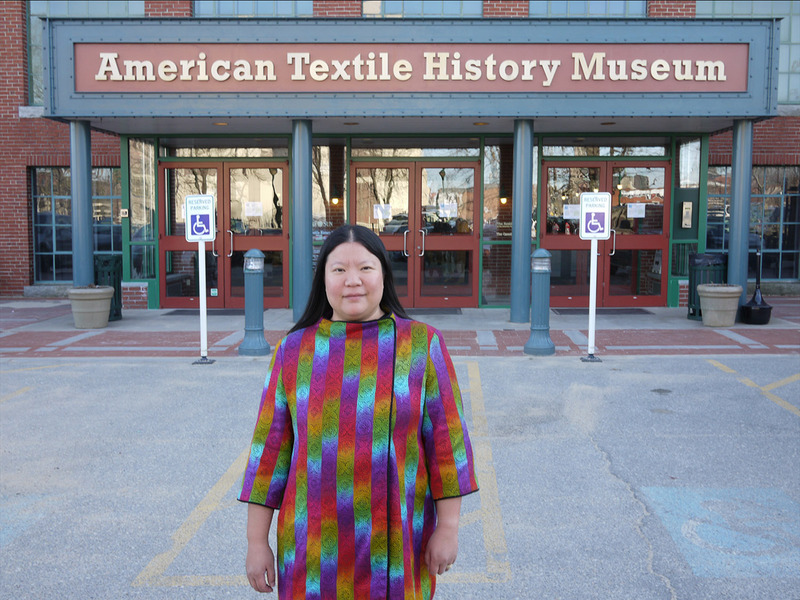 My mother’s day present was a trip to the Textile Museum to see your creation in person. Seeing it up close, I was awed by the overall perfection and the fine detail. We were really thrilled that there was a sample of both the dress and the coat fabrics that we could touch. We were impressed with how soft to the touch they are. We don’t know anything about weaving but it was interesting to see the wrong side and to realize that your choice of materials made the fabric drape beautifully and shimmer in the light. I’ve never commented before but I wanted to tell you how much your work inspires me. PS, good luck with your new job!